Marc Marquez finished on top of the combined timesheets after a frantic end to FP3, with Cal Crutchlow claiming a sensational 2nd place. 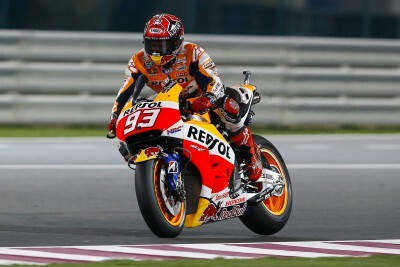 With the combined times from all three Free Practice sessions deciding who would qualify automatically for Q2, with the top ten riders all making it through, it was once again Repsol Honda’s Marquez who ending on top of the timesheets in Qatar. 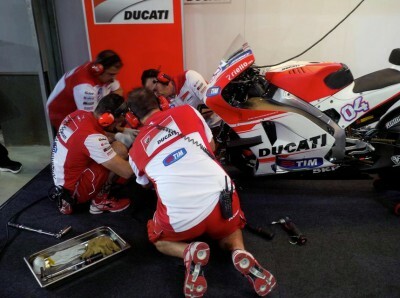 The satellite CWM LCR Honda of Cal Crutchlow (+0.096s) put in a sensational lap to end the three sessions in 2nd. Andrea Iannone (+0.170s) finished third, after losing the front at turn 2 ended any chance he had of improving on his time set early on in FP3. Aleix Espargaro (+0.172s) put the Team Suzuki Ecstar GSX-RR into 4th, with the Movistar Yamaha’s of Lorenzo (+0.286s) and Rossi (+0.370s) just making it through to Q2 in 8th and 9th respectively. Hector Barbera (+0.574s) was the leading Open class rider in 11th, with Scott Redding (12th +0.625s), Maverick Viñales (13th +0.854s) and Bradley Smith (16th +0.919s) on the Monster Tech 3 Yamaha some of the big names who will have to battle it out in Q1. Loris Baz also crashed at turn 2, and was taken to the Medical Centre for an x-ray on a suspected broken finger. 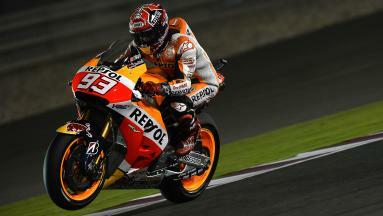 MotoGP™ Q1 will take place at 20:35 local time on Saturday in Qatar, with Q2 at 21:00. Click here for the combined results from free practice . 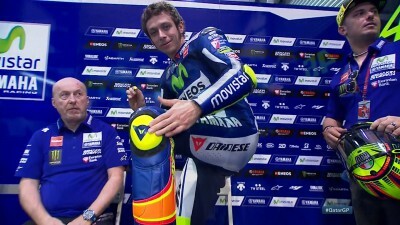 Valentino Rossi VR46 Official presenting the ‪#‎MotoGP‬ new-tech at Losail Circuit. Sam Lowes managed to beat Johann Zarco into 2nd in FP3 after the two riders put on an incredible display of riding during the session. He headed a session in which nine riders were below the best lap achieved in Losail last year during the Shell Advance Asia Talent Cup. It was a Leopard Racing 1-2 as Danny Kent finished fastest ahead of his teammate Hiroki Ono, after an intense battle with Miguel Oliveira. 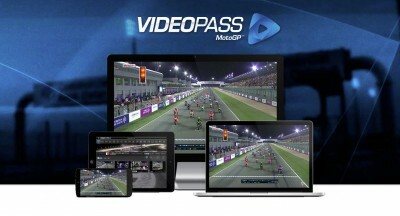 The 2015 MotoGP™ season kicks off in Qatar on 29 March, and the only way to make sure you don't miss any of the action is with a VideoPass. 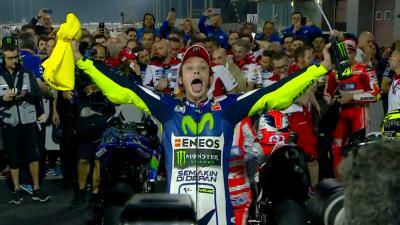 Reigning MotoGP™ Champion is the first rider to break the 1’55 mark in Qatar this week, during the second free practice session.